At CreativeAK we offer the following SEO and Website packages. Not looking for a complete overhaul of your local SEO or website? No problem, scroll down to see the individual services we offer. This is our starter plan to help you increase your website traffic by ranking better on the major search engines. This is our primary plan as it includes a complete rebuild of your website and online strategy (includes re-branding if necessary). We will build your new website from the ground up. Not looking for a plan? We offer website and SEO consulting on an hourly or project basis. Click the button below for a free consultation to discuss your project or business needs. 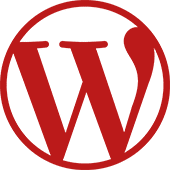 We build all of my sites on a Content Management System called WordPress. Originally built as a blogging platform, WordPress now runs 30% of all the sites on the web. All of the sites that we built are optimized based on two primary principle – User Experience and Google Search Guidelines… read more. Our partner’s servers offer uptime of 99.99% to 100% to ensure that your site is always accessible to your potential customers. Need some help with you building your online presence, but don’t want a monthly contract? We offer hourly consulting service… read more. No matter what catastrophe happens you can always retrieve your site just the way it was – yesterday, last week, or last month. All of our sites are built with Search Engine Optimization (SEO) in mind. From the structure of the HTML to the necessary connections with other websites… read more. Give us a call or sign up for a free consultation below.